Food packaging is essential for the business, and if you want to succeed in your restaurant business, the packaging must be top-notch. The packaging of your food has to be good enough, so the item inside stays safe from any harm. But do not be overwhelmed with the quality of the packaging so much so that you forget what it looks like. You can take help from a food contract packaging, that provides packaging services, but there are still things that you need to take care of. The food packaging has to be pretty and unique, so it is not forgettable. We are writing down some mind-blowing food packaging ideas for your restaurant business which you should read! Your packaging design should be unique and aesthetically pleasing, so they should help your product to stand out amongst other products even in a high-end specialty food store. A unique design will only use color and repetitive typographic elements in order to create a bold and elegant branding statement. You can cover the entire packaging of your food with its name, or your brand’s name, with double spaces between each letter. Typography is the art making written language readable and appealing when displayed, and that is exactly what it should do. Some brands make the writings on the packaging and logos too complicated to comprehend. Simple packaging design will let you communicate with your customers the traditional way. 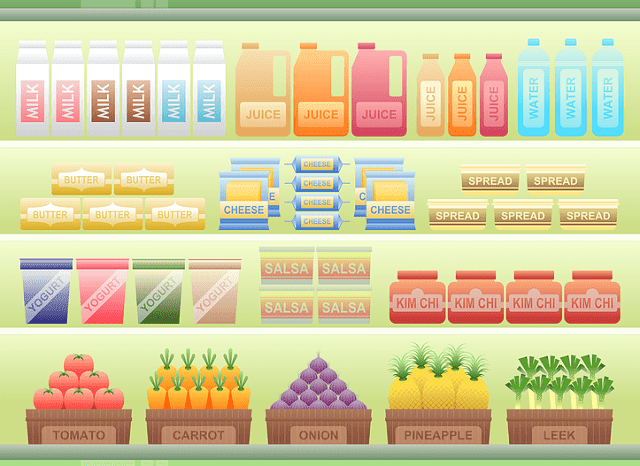 For example, your food packaging can show natural ingredients that were used for in the making. If you are selling a burger, some handmade typography with an image of the burger on the packaging will allow your restaurant customer to select his or her favorite flavor easily. If your menu has different products that sound the same, it is important that you distinguish them clearly. You can use a marker or any other distinguishing element in your packaging design that can help the customers identify. The typography on the design should be bright and clearly visible. For example, if you are packaging different types of rice or burgers, you can design their packaging in a way that each flavor or type has a different design and color. Spicy food can be shown with a red color, or vegetarian food can be shown with green. Customers need some extra sugar in their coffee, and instead of providing it in a simple plain package, you can get creative. For example, you can give two times more of the add-on like sugar, milk powder, etc., so everything is ready when the customer decides to take another coffee. Package your sugar in attractive packaging with unique images or typography. You can increase your restaurant business' social media following by showing your channels presence on the food packaging. A lot of restaurants and fast food outlets do this where you can find the latest happenings and links on their boxes. Use these ideas to make your food packaging appealing! About The Author: Mark Berry is a seasoned designer & creative director with ten years of experience in Chicago, IL at a top Food Packaging Agency. In his free time, he writes blogs about amazing packaging tips and tricks for product marketing and branding. I hope you enjoyed this blog post about mind-blowing food packaging ideas for your restaurant or food sevice company. Interested in more articles about food service or packaging businesses?